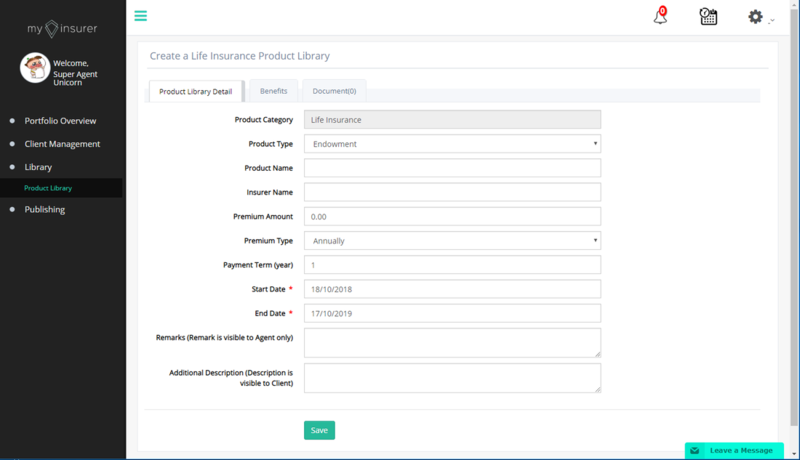 ​Product library is a gallery where you can add/edit templates of your policy products. 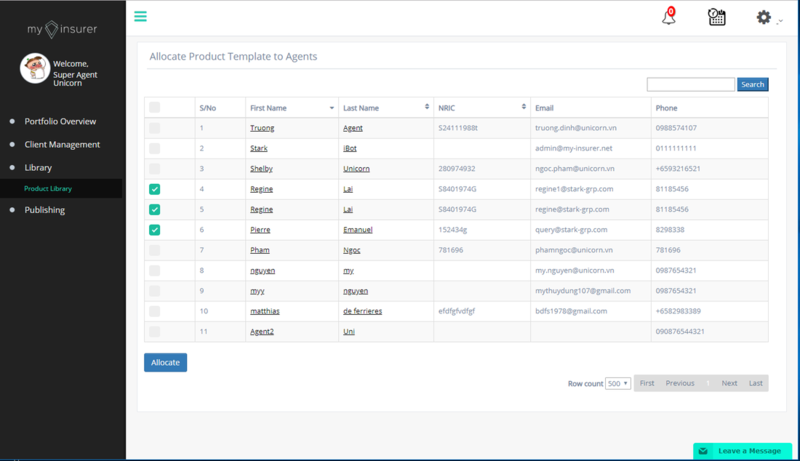 You can also easily add mutiple templates to numerous clients. 1. How do I add a product to the library? To add a product, first add the policy to a client. At the bottom of the policy detail tab, select "Save to library"
2. Is the product name fixed? What if I want to create different variations of the same product? E.g Different age group for the same Shield Plan. You are free to name the products accordingly. Select the template you wish to duplicate in the product library. Click "Duplicate Product Library" to copy the existing template information to a new template. You may now rename and edit the new template. 3. I have created several products in the library. But when I click add clients, nothing appears. Why? You must first have client existing before you can add any to the template. To add a client, please access "Portofolio Overview" > "Clients" > "Create new account". 4. I want to add many clients to multiple template. How do I do it? Access "Product Library" > "Select the template (s) you wish to add > "Add 1 or more clients"
5. Can I edit a product after I create it? Yes. 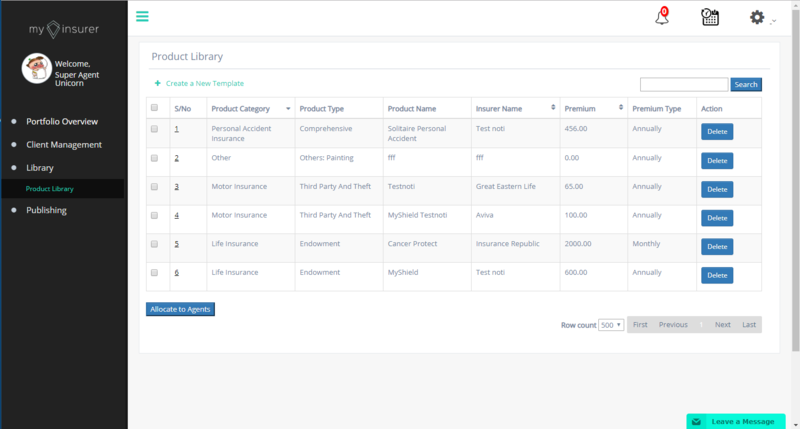 Select the template you wish to edit, edit the information accordingly and "Update Product Library"
6. How can the function duplicate product library help me? You can create variations of a single product in instances where is only a small edit . E.g. single premium amount, age band, etc. 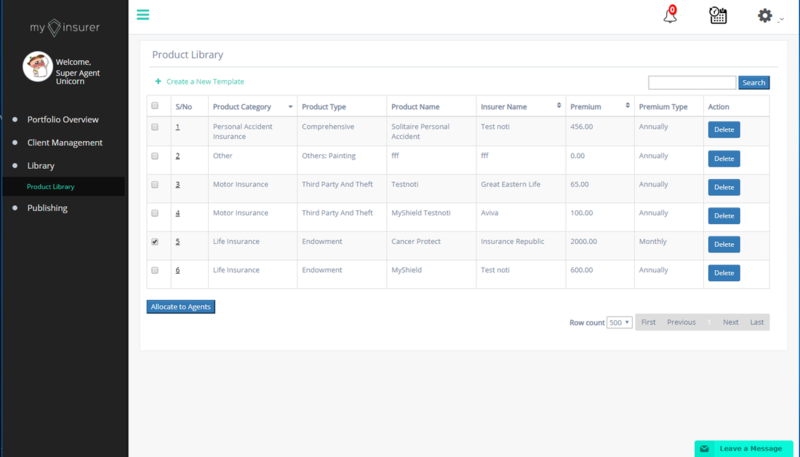 It allows you to categorised further your clients by products. 7. Can I delete a product in the product library? You can. Access product library and the template you wish to delete. 1. What is the difference between creating a product in Super Agent environment versus at agent level? When adding a product to library at a Super Agent level, you can then allocate the product to an agent (s). Can I only allocate a product to the a client at the library level? No, you can also allocate a product to a client at client profile level.